Like the Deluxe Swivel, this custom flash drive has a clip that swivels around the flash drive body. However, the Mini Deluxe Swivel is about one-third the size. Don’t let it’s size fool you, though. 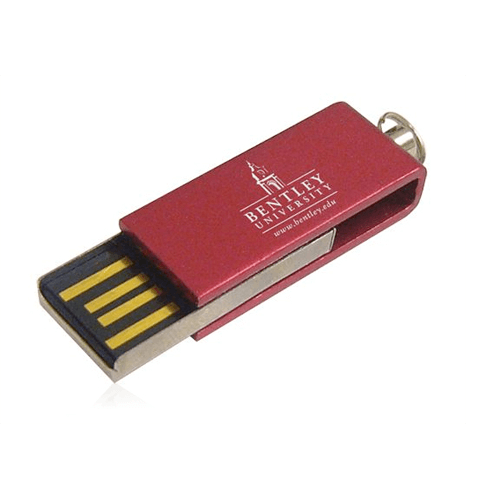 This little flash drive can hold as much data as any other flash drive model that we carry. Add a custom printed lanyard to attach to the supplied keyring and watch your end users sport your logo around your event or around their home town.